Roasted Garlic blended with smoked black pepper and combined with kosher Pacific Sea Salt. It is available in a variety of packages that you can choose from in the drop down menu. 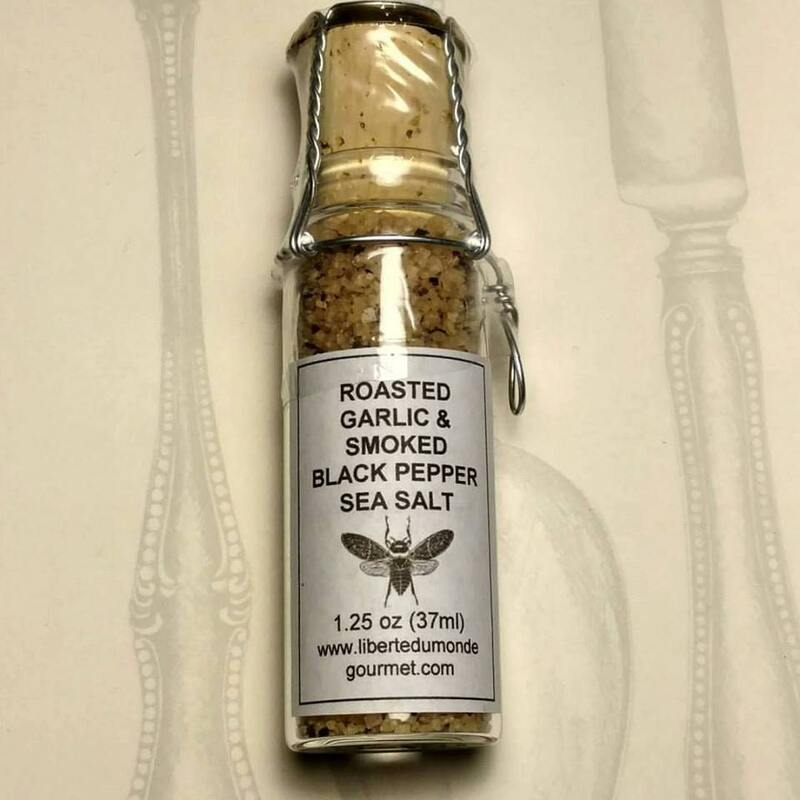 Roasted Garlic & Smoked Black Pepper Sea Salt is all natural Pacific Sea Salt infused with real roasted garlic and coarse smoked black pepper. This is a much improved, very gourmet version of traditional garlic sea salt and pepper. The flavor is out of this world. Try on absolutely anything. Makes a scrumptious addition to all meats, vegetables and rice & beans.